Because December isn’t busy enough, life decided to throw our family the curveball of a hospital stay this month. C has been out for a week and I’m still trying to recover. It’s scary when your baby goes from fine to very ill in just a few hours. With a little over a week to go before our Christmas vacation to Florida, that is just what happened. It was a typical Friday night, I was folding diapers and Hubs was supposed to be keeping up with a very active C. He may have been more tired than I thought…. Anyways, C ended up grabbing a cheese stick and eating it through the wrapper. Hubs wasn’t super concerned because she only had one toot. When A took it from her a minute or so later that one tooth had removed several spots of plastic and we assumed ate it. 30 minutes later she was throwing up violently and I insisted we head to the ER. A was told where we were going and someone would be home before E woke up. Hubs hopped in the backseat with C and I drove praying the whole way and furious with my husband. Zofran by mouth didn’t work and so they decided to do an XRay and try to get an iv going. That also did not Work and so they decided to keep her for observation and began to draw blood. Side note – the layers I wear for nursing were useful as I continued to be puked all over. The scariest moment was definitely when her breathing slowed down and they put her on oxygen. My healthy baby laying limp in my arms with oxygen being pushed into her nose. Nothing had prepared me in 12 years of motherhood for that. 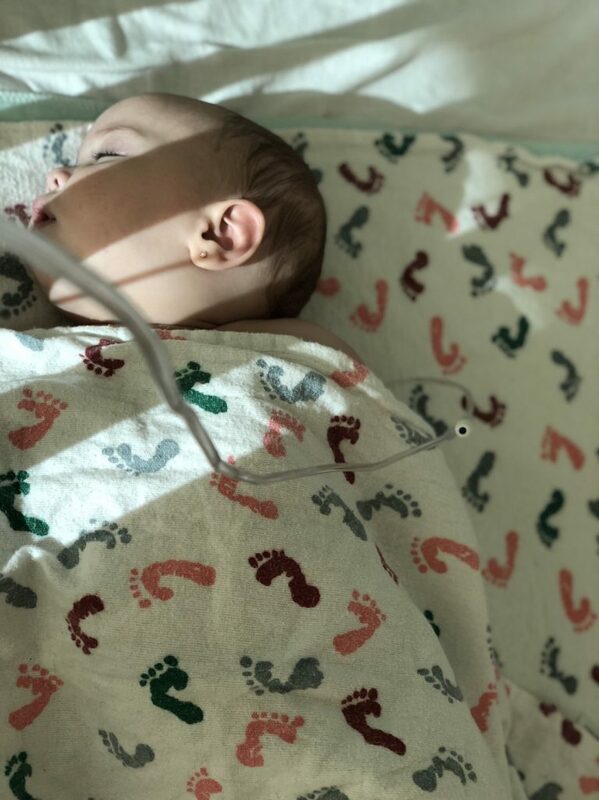 Shortly after we were taken to our room in the pediatric unit, we found out that C had bacteria found in her blood work and urine. That meant we would definitely be in the hospital for 48 hours waiting for a culture and antibiotics. By the time Hubs got back to the hospital, I’d been up for 27 hours and smelt like vomit. I was emotional and scared. He was tired and still a bit irritated that I had been so angry about the cheese stick but finally was glad we had gone in. We spent four nights in the hospital. 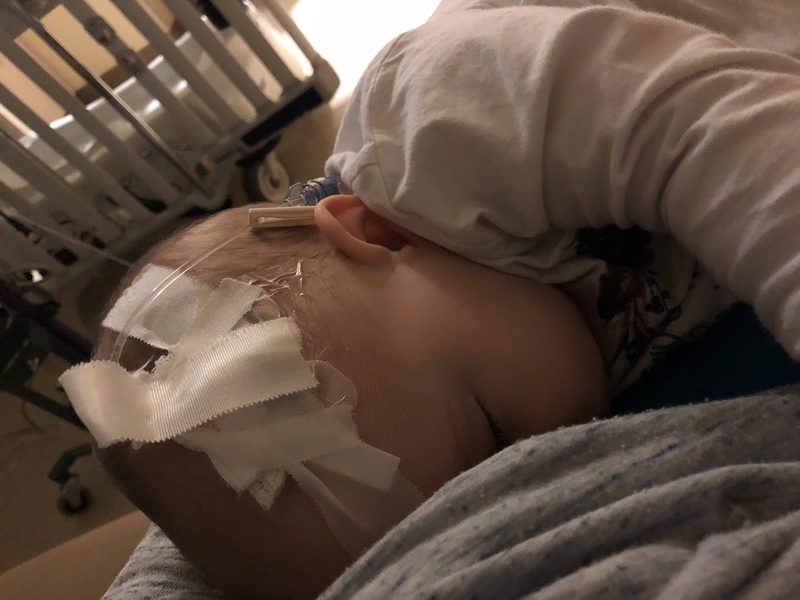 The doctor’s best guess was that based on cultures and symptoms Claire caught a stomach bug that was bacterial and it jumped her gut lining and entered her blood stream. The bacteria in her urine didn’t culture, so no UTI. So… how did this happen? 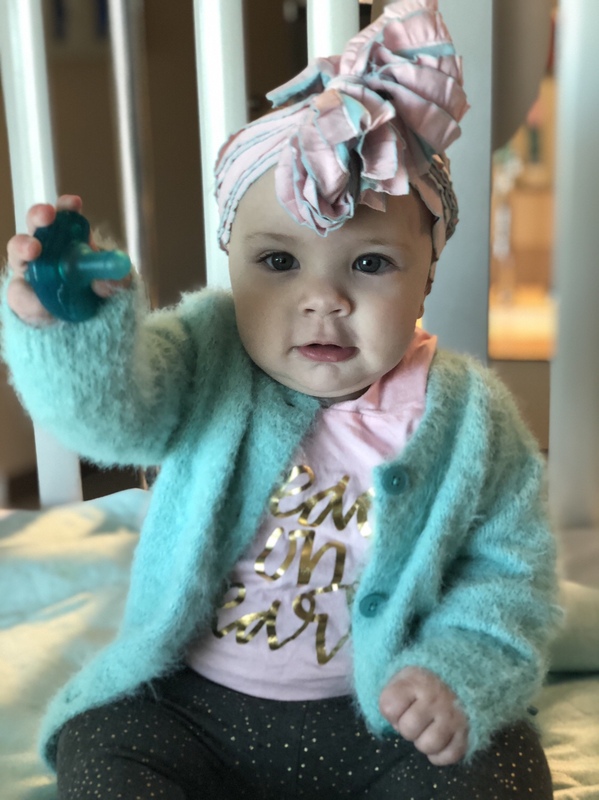 Her immune system was weakened because of her surgery earlier in the month. So a bug that went through our entire home knocked her for a loop. I was frustrated at first until I realized just how much misinformation is out there. For instance… I thought after 24 hours of being symptom free, we would be safe to be around people. In reality you need to be a minimum of 72 hours free of all symptoms before you even consider being around other people. Also, washing with bleach is pretty much the only effective way to kill many stomach bugs and they live on surfaces for up to 12 days after an infected person has touched them. Learn from our experience and protect yourself and those around you. It was scary and we exposed others because it took so long for doctors to figure out what we were dealing with. We have amazing friends who watched our kids, offered to bring coffee and food and helped in so many ways sacrificing themselves. The amazing women behind Joli Arc Boutique and Between Coffee and Wine kindly looked up restaurants that delivered to our hospital and sent Hubs and I a meal. Just another reason to remember to support small businesses because of the community they create and foster. Thank you to everyone who prayed for us and loved us through this difficult time!